How’s it going fam? Today we’re reviewing the Brainwavz HM100 Studio Monitor Headphones. The HM100 has a gorgeous retro styling and a fantastic neutral sound. Whether for mixing in a home studio or just enjoying music the HM100 really delivers when it comes to sound. I’ve been a fan of Brainwavz for quite a while now. It all started with the Jive earphone which to this day still holds its place among the best-built budget IEMs ever. The company won me over again with their superb Balanced Armature IEMs the B100 and B150 which were extremely comfortable and offered great value for money. So I was super excited when I learned I would have the opportunity to test the HM100. Having had great success with the HM5 headphone I knew they could produce a great over-ear headphone. Subsequently they also created a line of hugely popular and affordable earpads. Needless to say my expectations were high for the HM100. How did it do? Let’s find out. Who doesn’t love a spare pair of earpads? When I first saw the box my first thought was “That’s big!” So yeah, it’s on the large side and is white in colour with a nice colour image of the headphones on the front. In the top right corner is a reminder that Brainwavz still offers their excellent 24 month warranty. Over on the back is a blurb which talks about some of the headphones features and there’s also a list of specifications. Opening up the box I got my first hint why the box is so big; Brainwavz has included a quality hard-case for storing the headphones and accessories. Without reading about the accessories prior to opening the box, the hard-case was a very pleasant surprise. Inside the headphones are secured in a soft, black foam insert. On the underside of the lid is a net mesh pocket with zipper and it’s here that we find all of the included accessories. So what’s in the box? I found the contents included quite satisfying and it really adds to the sense of overall value. The hard-case and extra cable are great and the extra pair of earpads is icing on the cake. The quality of the earpads feels great but it’s a shame the equipped pair is not real leather. Pleather tends to disintegrate fairly rapidly but we’ll just have to wait and see how these ones fare. The velour pair feels very nice indeed and are a great addition. 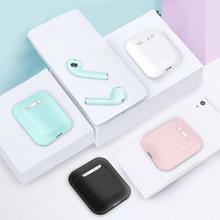 Considering Brainwavz’ penchant for making great and affordable earpads you should be able to easily replace the default earpads or even upgrade to genuine leather or sheepskin ones in the future as well. These are big. Real big! That was my first thought upon seeing the headphones. They’re not exactly light but I wouldn’t call them heavy either. The tan-coloured headband is covered with pleather which is soft to the touch. On the underside of the headband is some generous padding and the top is embossed with Brainwavz branding. Next, we come to the metal adjustment sliders which have numbered side markings etched onto the metal strips. Sadly the slider on the right side of my headphones is quite loose and just the weight of the earcups makes it extend all the way out. Admittedly, this doesn’t happen when I’m wearing the headphones so the fit isn’t compromised but at the same time it doesn’t inspire a lot of confidence. Plastic clamps surround the top and bottom of the adjustment sliders. They feel durable enough but do cheapen the overall appearance of the headphones a bit. The metal brackets attach to the central part of the earcups which swivel up and down. The brackets themselves also rotate to help ensure a proper fit. There’s no denying the beauty of the wooden earcups which are smooth and fairly deep. The engraved branding on the side of the earcups is low-key and tastefully done. Both the pleather and velour earpads feel really nice, though they use regular foam instead of memory foam. Only time will tell how durable they are but as I said earlier, you can always get affordable replacements from the Brainwavz store if needed. Both of the provided cables are really nice. The shorter one has a typical plastic sheath on it that feels really smooth and has a good thickness to it. A blue and a red ring help to identify the left and right plugs respectively. There is good strain relief at both ends of the cable which terminates in a straight 3.5 mm plug. The 6.35 mm adapter is threaded and screws onto the 3.5 mm plug, similar to the Superlux and Beyerdynamic headphones. The longer cable is also of good quality. However, this one has a braided fabric sheath which makes it a bit thicker and heavier. Unlike the short cable, this one has L and R markers instead of the colour coded rings. I like everything about these cables. They’re supple and smooth, have no bounce, memory or kinks and have virtually no microphonics at all. I find the Brainwavz HM100 to be exceptionally comfortable and can wear it for hours on end. There is a bit of clamping force but the thickness and softness of the earpads do a great job of spreading the pressure evenly onto the side of your head. The headband has a generous amount of soft foam padding on its underside. There’s little down pressure as most of the headphone’s grip comes from the sides via the clamping force which is, as I said, largely mitigated by the lush earpads. Noise isolation is average for a closed-back headphone. A small amount of ambient noise comes through but if you’re playing music even at a low volume you aren’t likely to hear anything outside of your headspace. Noise leak is minimal too; you would be doing some serious damage to your hearing before disturbing anyone nearby. Colour-coded cables (I’m a fan). True to the marketing language, the Brainwavz HM100 really is a neutral sounding headphone. It attempts to reproduce an uncoloured sound, just the way it was recorded. To some people that might sound boring or analytical but let me assure you that it is not the case at all. The HM100 has a healthy amount of bass, clear and vibrant mids and a lively, crisp treble. Having said that, there doesn’t seem to be any specific range that is pushed forward or favoured over the others. In other words, this headphone strikes an excellent tonal balance that really allows you to hear your audio the way it was recorded. Although the bass has a neutral tuning it still has a really nice fullness and ample body. Bass notes are lean and fast but they still carry sufficient weight; this is not an easy thing for a headphone to achieve but the Brainwavz HM100 nails it. With a fast attack and fast to medium decay, the mid-bass has really good definition and texture. It’s agile and punchy but feels more like a quick jab than a powerful cross. Admittedly there were times when I wished for just a little extra oomph from the bass but you can’t really be mad at a headphone for doing exactly what it claims to do; which in this case, is accurately reproducing a recording without adding its own colour to the sound. In any case, the Brainwavz HM100 responds quite well to EQ, so you can easily add a bit more low-end grunt if you want it. The sub-bass has a fast rumble and falls off a bit quickly below 30Hz. The extension is otherwise good but a more linear fall-off from 40Hz down would have been ideal. The HM100 has a really nice natural and accurate midrange. Instruments like acoustic guitars and pianos have good timbre and fast transients. This is a fantastic headphone for listening to post-rock music such as Outrun The Sunlight’s “The Danger of Alignment”. Vocals sound very natural and accurate. They have good density and presence and are faithful to the recording. While the HM100 is very transparent, it’s not unforgiving either. There is still enough smoothness to let you get swept up in the music. There is some emphasis on the upper mids around 3-5kHz which adds presence but I feel could be 2-3dB lower as it tends to also mask parts of the core midrange as it becomes saturated. The HM100’s treble is crisp and light and I like the balance it finds between energy, detail and comfort. It’s quick and detailed and has a natural decay. However, it does lack a little solidity which can make it sound dry at times. The good news is that the treble doesn’t come across as harsh or edgy at all so crash cymbals won’t sizzle your brain but at the same time, they still have an accurate timbre. Listening to Ludovico Einaudi’s “Indaco” the piano’s upper octaves are still relatively smooth and the detail is still intact – I can still easily hear the pedal of the piano which some lesser headphones fail to pick up. For a closed-back headphone the Brainwavz HM100 has an impressive soundstage. That might not be so surprising considering the very large size of the earcups but that’s only one factor in the overall equation. The HM100 provides ample leg and headroom along with the usual width and depth. Instrument positioning is above average for a closed headphone in this price range. The placement of elements and layering is impressive, as is the stability of the stage. Vocals hold firm in the centre of the stage while everything else radiates outwards in clearly discernible layers. A great track for highlighting this is the live version of Anathema’s “Lost Control” from their A Moment In Time album. This is a fantastic recording and the HM100 does it justice. Considering the bass was already on the lighter side with the pleather pads I was expecting it to be anaemic with the velours. However, that was far from the reality because with the velours the bass still has plenty of punch and there is still some sub-bass rumble. If anything, the velour pads have a smoothing effect that brings the bass, mids and treble more into line. At the same time, the soundstage gets even more expansive but remains stable and holds onto its imaging smarts. Vocals lose a hint of density but the overall balance is totally worth it, in my opinion. The headphones just seem more musical and effortless in this configuration. The treble is a bit smoother with the velour pads too, without losing any of the details in the music. I’ll let you in on a little secret – once I had switched over to the velour earpads I didn’t switch back! The HM100 look gargantuan next to the Shanling M0 player. The first thing I noticed is that the Brainwavz HM100 is significantly harder to drive – it’s 64 ohms impedance and lower sensitivity require a fair bit more power than the 99 Classics. The Classics have more mid and sub-bass than the HM100 and have a warmer sound signature overall. The HM100, on the other hand shows more control and a faster rumble in its bass. In the midrange, the 99 Classics are more forward and the extra warmth carried over from the bass adds a bit more body to the mids and in particular to male vocals. This makes the HM100 lean more towards analytical and more accurate, which would make it the better choice for studio monitoring and content creation. In the treble, the 99 Classics are more forward again and have some extra sparkle while the HM100 is again, more accurate but also drier. The 99 Classics, in comparison to the Brainwavz HM100 sounds noticeably more V-shaped while the latter remains close to neutral. In terms of comfort the 99 Classics come out in front because they are so lightweight and have less clamping force. That said, the HM100 is still a very comfortable headphone. 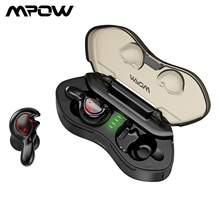 The provided accessories are very similar with both of these headphones but it’s worth keeping in mind that the HM100 is only 2/3 of the price of the MEZE. The Brainwavz HM100 headphones get almost everything right. On one hand, they have a fantastic, detailed and accurate sound, great looks and are extremely comfortable. On the other hand, there are some aspects with build quality that prevent them from being a home run. Admittedly, it’s really only the loose adjustment sliders that are an issue for me and once the headphones are on my head it’s something I don’t even notice. With their excellent accessory bundle, neutral tuning, comfort and aesthetics, the HM100 are definitely worth your consideration; besides – that retro tan look is hard to resist!